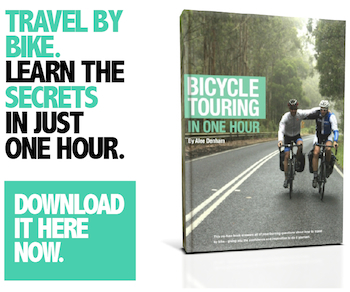 The modern derailleur system is a simple and efficient way to provide gears on a bike. You certainly can’t beat it for price, weight, availability or repairability. But there are a few gearbox alternatives which reduce overall maintenance by enclosing a series of cogs within an oil-bath chamber. They’re pretty fancy – people who use them tend to love them. You’re probably already aware of the most common form, the internally geared rear hub. Another option has been gaining momentum since 2012 – that is the Pinion gearbox, now used by over 60 manufacturers. The advantages to the Pinion gearbox over internally geared hubs include more gears, less of a gap between each gear and the ability to swap out and send off just the gearbox for repairs. 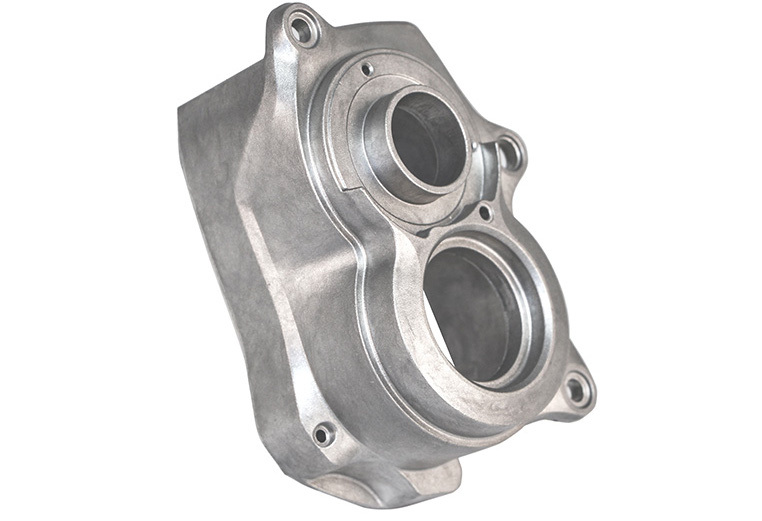 The main disadvantages are additional weight and the requirement for Pinion-specific frames. 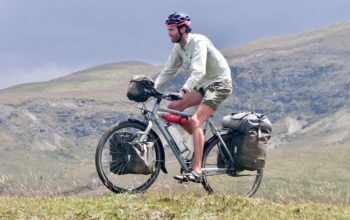 A Kalkhoff Trekking Bike with a Pinion Gearbox. Three new gearboxes will be available soon that are both lighter in weight and with improved ergonomics. Two gearboxes employ larger steps between gears (designed specifically for electric bikes), so I’ll only briefly touch on them here. The other gearbox could work out well on a minimalist touring bike. The great news is that the new Pinion gearboxes will fit existing Pinion frames. They will also be as reliable as ever – impervious to mud, snow and water. Maintenance is again as simple as an oil change every 10000km. The new lightweight Pinion C1.12 Gearbox. 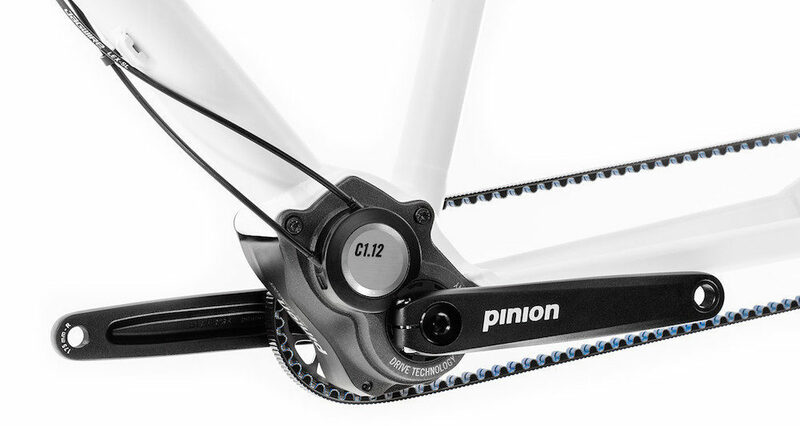 What’s New About The Pinion C-Line? Reduced weights. The new die-cast magnesium alloy body saves ~250g over the aluminium body. Narrower Q-factors. The distance between pedals is more natural at 166mm instead of 174mm. Narrower chain lines. 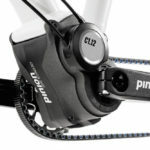 The chain now sits 4mm inboard, however there is no significant advantage to this. Adjustable cable routing. The cables can be adjusted to suit three different positions. Improved oil change. There’s a new port to drain and fill the gearbox with oil. Gear steps for electric bikes. 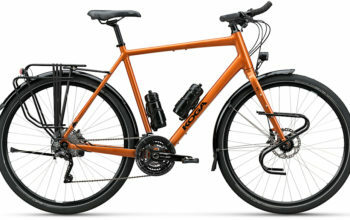 Two of the three new gearboxes are designed for e-bikes. The new die-cast magnesium alloy Pinion Gearbox body. The C1.12 is essentially the P1.12 in terms of gear range and gear steps, but with the lightweight magnesium alloy body. 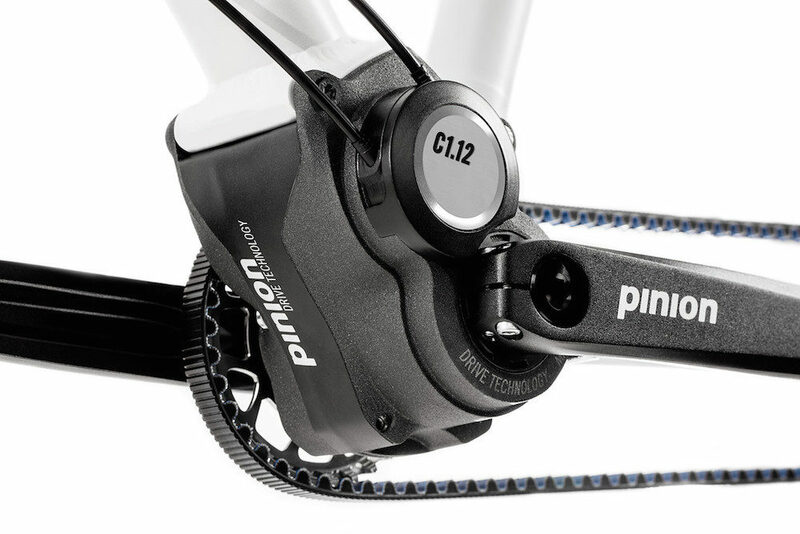 I can’t see why Pinion would continue producing the P1.12 with the C1.12 in production. The C1.9XR is the wide-range e-bike gearbox, boasting a range almost as wide as the C1.12 but with larger steps between each gear. The large gaps exist because electric motors allow you to accelerate through gears faster than a regular bike. 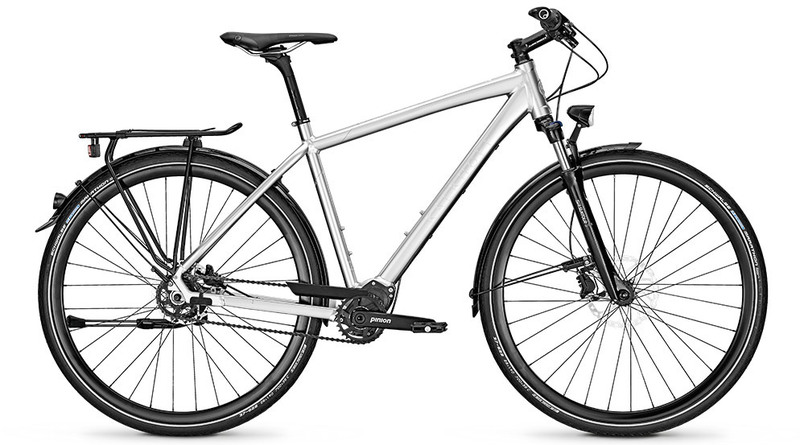 The C1.6 is a great gearbox for e-bikes that are speed limited to 25km/h. The reduced range will provide enough gearing for low speed riding. The new lightweight Pinion C-Line Gearbox. The new 2017 Pinion C-Line Gearbox. With the new weight reduction, the Pinion C1.12 gearbox stacks up pretty well to the Rohloff hub. When you consider the full system weight (including cranksets, shifters and drivetrain parts) we’re looking at a difference of less than 100g. The Rohloff hub has the advantage of more gears, two more in fact. That results in even gear steps of 13.6%, as opposed to 17.7%. If you’re riding mostly on roads, you’re going to enjoy the smaller gaps between Rohloff gears than the Pinion. 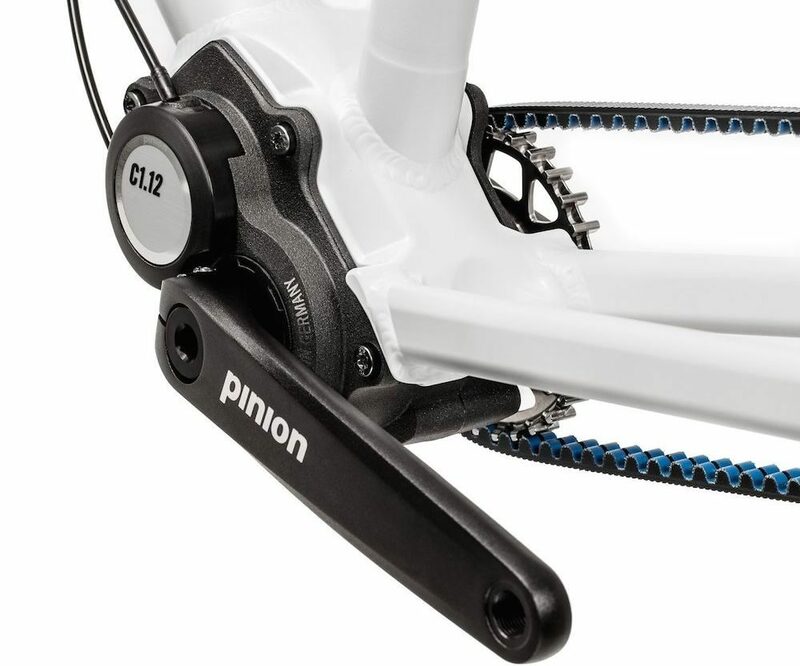 The Pinion C1.12 has the advantage of a wider gear range of 600% compared to 526%. 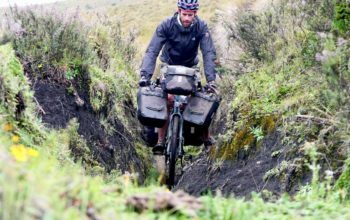 With the Pinion you can have a gear spread of 19-117 gear inches which will see you climbing the steepest climbs with four panniers, but still have the gears to spin the pedals at 56km/h (35mph), while the Rohloff hub will achieve this at 50km/h (31mph). 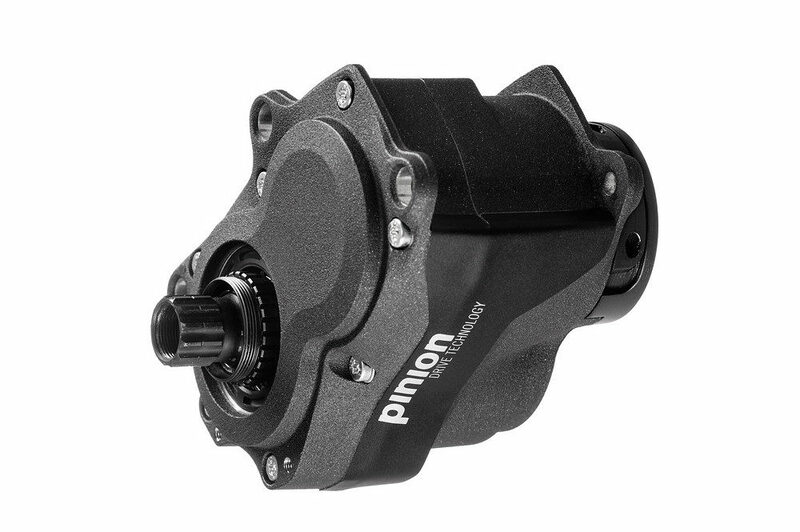 The new Pinion Gearbox shaves 250g out of the aluminium-bodied version. 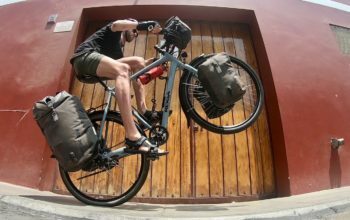 What’s The Best Gearbox For Bicycle Touring? 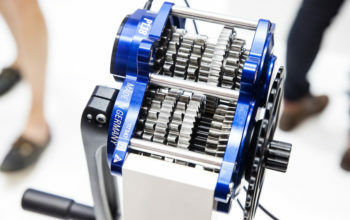 The Pinion P1.18 gearbox is still the bicycle touring gearbox of choice. Although the P1.18 is about 600g heavier than the C1.12, the 11.6% gaps between gears and exceptional 636% gear range provide class-leading range and gear steps. If you are a true weight weenie, you may be enticed by the C1.12, but I can tell you that from my testing, 1000g is worth between 10-90 seconds over 100km. That’s not much of a penalty for extra gears and range. 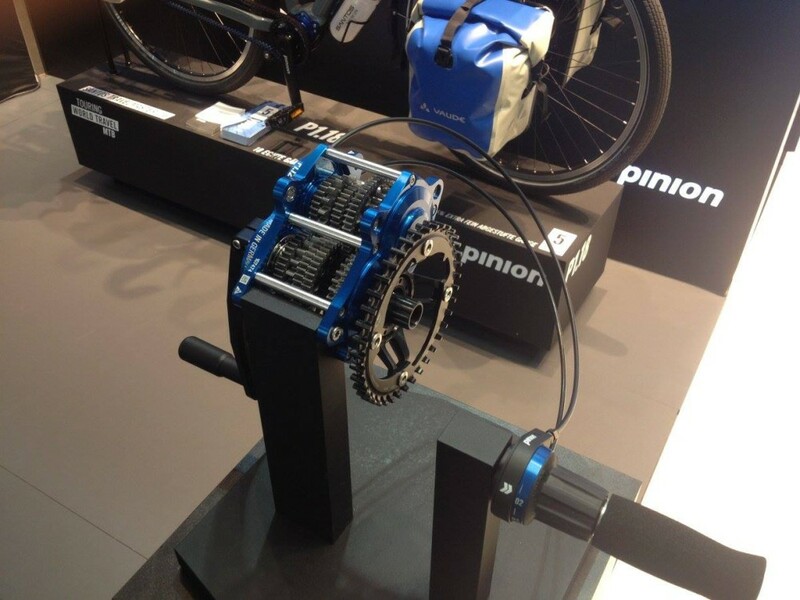 A Pinion P1.18 Gearbox on display at Eurobike 2015. 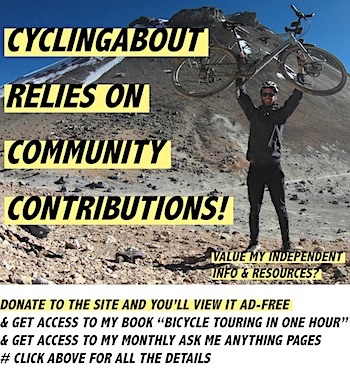 Read My Detailed Pinion Resource HERE And Find A List of Bike Manufacturers With Pinion Gearboxes HERE.